This is a nonprofit club run for the benefit of the community, teaching old style Okinawan karate for self protection/self defence not a sport style. The chief instructor has been a student of martial arts since 1965 and holds the rank of sitchi Dan (7th degree) black belt. We are a member of the National Association of Karate and Martial Art Schools (NAKMAS) so fully insured. All of our instructors are qualified first aiders and are CRB checked..
Would you like more information on hours, classes and programs available at Okinawan Sanchin-ryu Karate? Please contact the school with your questions. Update the details, Write a Review or Report Error of Okinawan Sanchin-ryu Karate. This Chart shows the Martial Arts Styles offered most in Skelmersdale, UK area. 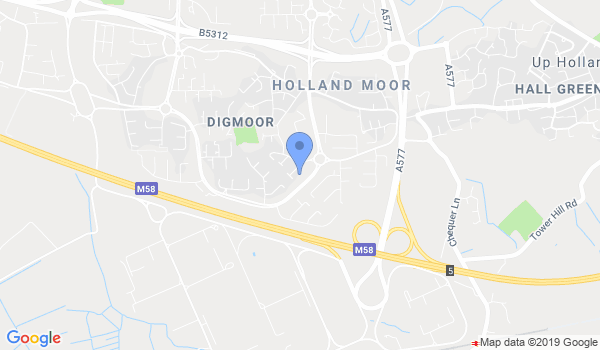 View a list of Dojo in Skelmersdale, or enter your address below to find schools closest to you.